Few months ago I was walking through the largest city in Africa (Ibadan) as I was looking at different companies on the streets. “Why is it that most successful companies in Africa are foreign companies”? Why is it that Coca Cola is the most popular drink in Africa? Why is it that Facebook, Google, Youtube, Twitter are all we consume? Few days ago a good friend of mine and his wife decided to come and spend the weekend with me and as we talked and laughed, he mentioned a new solar company who has created a wonderful solar product to solve Nigeria’s electricity problem. I don’t think I hate the foreigners (and what if I do, make then deny me their visa now! ), but come to think of it, are not we still in slavery? Why is it that, even up till now, most successful companies in our continent are still the making of the foreigners? Why is it that most things we consume, even up till now, cars, phones, drinks, entertainment, social media, search engine, laptops are all made by the whites? Is anything wrong with the blacks? 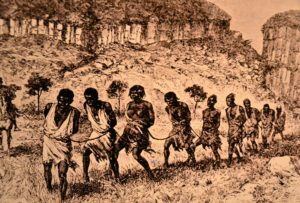 Are we not still slaves? Are you still wondering why our currency is becoming valueless every day? We produce nothing, sell nothing, convet everything white. We are generation of dumb people. But, it shouldn’t continue this way! Some of us have to stop complaining. We have heads (and brains), just like the whites. Our problem is laziness and inferiority complex. NOW is time we start believing in ourselves. You reading this must know that I’m talking to YOU. You owe this continent something and you must pay your debt. Seek the way to solve a problem here. Create something and learn how to sell.